We all know butterflies are fragile, so fragile that if you accidentally held your palms over them too tight, you’d kill them. The color in them would literally rub off on your hands if you stroked their wings. The same goes for dragon flies. Well they’re noisy of course but these are transparent. So it’s not too difficult to imagine insects as transparent. In reality they just don’t have too much color on their wings. 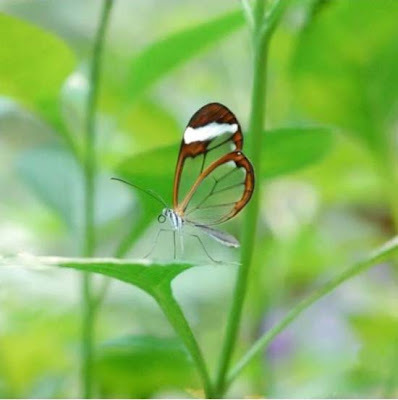 The same holds for transparent butterflies. However, even devoid of some of their color, they still are magnificent, as grand as they are meant to be. And the only thing you can thing of when you see them is to say hush, and hold your breath for as long as possible just so that they sit around for a little longer. 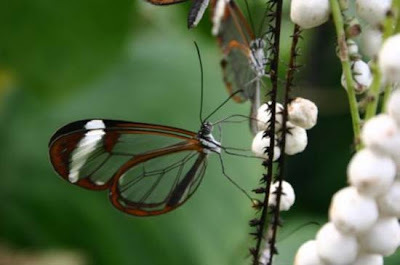 Transparent butterflies are not a myth but certainly a rarity. And if you ever se one, look at the world through its wings and you’ll find a new meaning in life. It comes from central America and is found from Mexico to Panama. 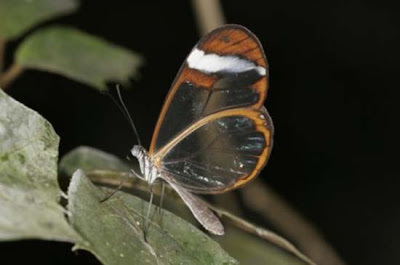 It is quite common in its zone, but it not easy to find because of its transparent wings, which is a natural camouflage mechanism. wow never been look before, splended pic! 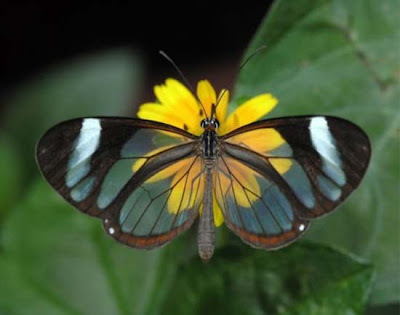 I saw some in my fieldwork in Paraguay last year, they are beautiful--perhaps these particular species are only found down to Panama but there are some transparent-winged butterflies in the middle of South America as well. hi this is sooo cool can u make big pics for so we can make it on our computer screen back ? Kumi, just click on the pic to enlarge. hollow man does exist afterall. even if partially. u cant make much more big ?? I thought this was a hoax. But they are beautiful. God sure was smart! Beautiful--I like butterflies so much that my nickname is butterfly! Found this through a link on mercola.com and I'm glad I did. Absolutely beautiful photos! Will use with first class through library in am, South America's rainforest. Thanks for the pics of such amazing butterflies. This is being linked from b3ta so prepare to be hammered. 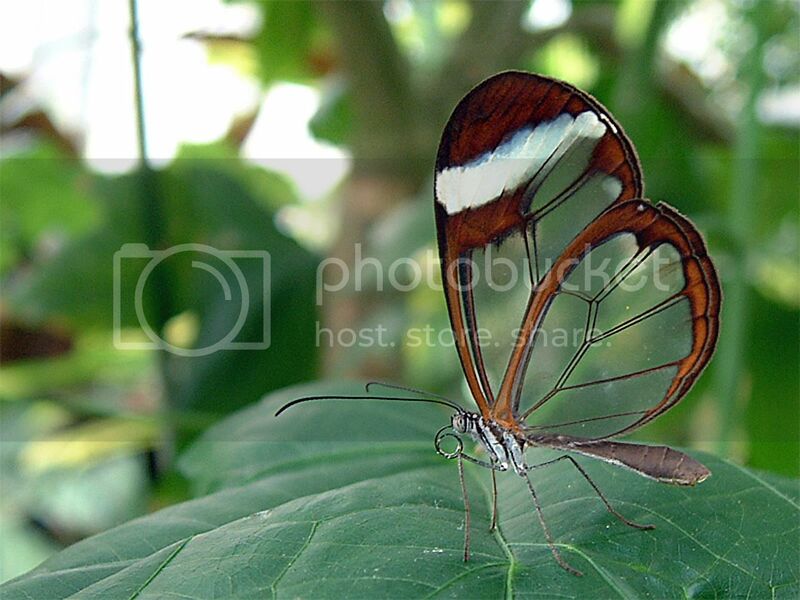 Nevertheless, for London types, you can see these in the London Butterfly House at Syon House. Woo! Those are some beautiful pictures. Thank you for taking the time to share them on the Internet. These taste yummy with chocolate! Catch 'em while you can! 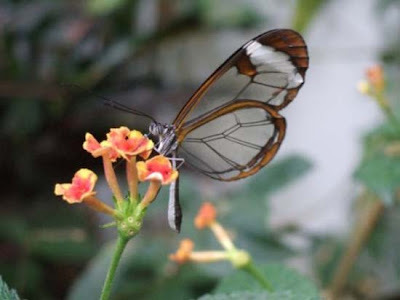 Glasswing, so do you clean 'em with Windex. No, but serioulsy, that is so cool, I saw it on Flickr awhile back. Found your page thru Fark.com. You can find these in Colombia, I got a pic of one but is not as good as these ones I had to use a zoom that guy. These certainly are awesome pictures. Although, of course, it has nothing to do with God whatsoever, as he doesnt exist - it is merely the majesty of nature itself, and some very smart evolution. i think phil is retarded and he is so wrong cuz hes not cristian!! give us yer idenity and well knock down yer door!!!! DO NOT LISTEN TO PHIL!!!!!!!!! PHIL IS RETARDED AND EVER1 NOS IT!!!! never seen anything like this... its so unique... and yet so beautiful! If it really exists, how come all the legitimate butterfly sites on the Internet are missing this one? Don't be fooled. If you like to see fun pictures like this, OK, but don't delude yourself into thinking nature has to be even more beautiful than it really is. Use your head. Look closely at the pictures and then investigate a little further before accepting this. These clear-wing Ithomine butterflies are found from Mexico down to most countries in South America, not just Mexico to Panama, and there are dozens of species, looking almost alike, making identification very hard. I've collected 5 or 6 different species at the same time and thought I only had 1 or 2, and I've been collecting butterflies in the tropics since 1975. At the right time of year you can enter a streambed next to a jungle road and see dozens or even hundreds of these butterflies back in the shady areas flying all over the place. 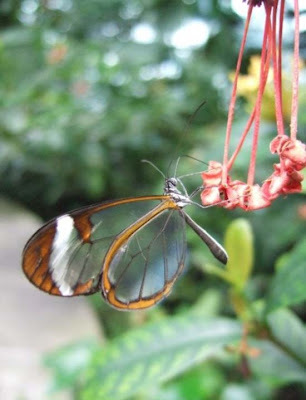 Greta oto or the GlassWing, as they are commonly referred too, are indeed real and if you need a credible website to see them you can visit http://www.reimangardens.com. They can also be seen in real life if you visit their Butterfly House at certain times of the year. Steve, I can't think that Christ would approve of your comment regarding Phil's door! What kind of Christian are you? These are some extraordinary pictures (I wonder who took them) of amazing creatures. This post has all the makings of the perfect pictorial blogpost: a little copyright infringement, a skeptic who insists it must be a photoshopped hoax, and a controversial comment sparking a mini-flame. BTW, Steven: How dare you say "Don't listen to Phil"?! I have a personal,deeply held belief in Phil. Once you open your heart to Phil, I'm sure you too will see the light. excellent pictures..i had made a link to this post..
Butterflies are Gods fingers touching us ever so gently.. 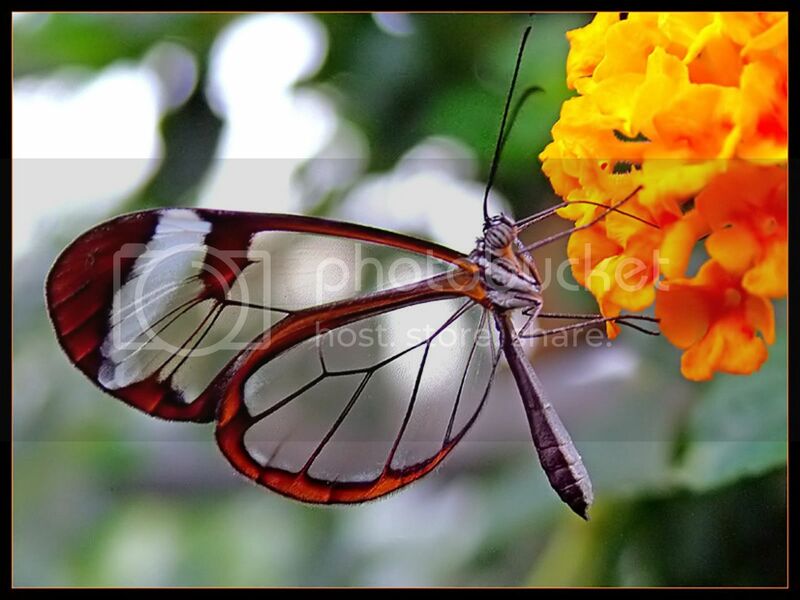 This is really great pics of butterfly. oh oh oh pirdy! I love butterflies! You are a ★ ! Very Interesting blog for every user. WOW! THOSE ARE BEAUTIFUL BUTTERFLIES! GOD HAD MADE SO MANY BEAUTIFUL THINGS IN THIS WORLD AND THIS IS ONE OF THEM! 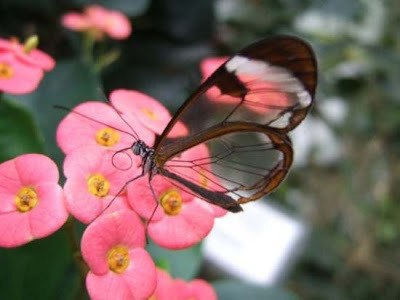 The butterfly wings look see through. Such beauty! Great pictures, thanks. Sending Flower Delivery contain a list of the best flower deliveries web sites in the world. These butterflies are not only found in Central America but are even more abundant in South America, particularly in Peru. The Peruvian Amazon holds the most abundance and diversity for butterflies in the world. It's really special butterfly. Really beautiful! 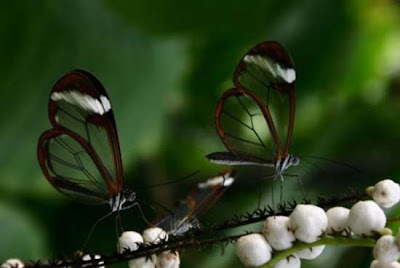 they are beautiful--perhaps these particular species are only found down to Panama but there are some transparent-winged butterflies in the middle of South America as well. Fantastic butterfly.. Now only i saw like this.. It looks very beautiful.. These are shows perfection of photographer but also creativity of God. Lol, really informative post! I was looking for good info and source for college paper and your article and site pop out form the search results! Thanks for making my live easy. This is such a nice and Informative, amazing blog. I like it so much. its really very informative. The topic you have discuss is very sensitive and important. You have describe it in very good manner. I appreciate your hard works. thanks for all this.